Railings are a vital part of your deck structure, but they don’t have to be totally utilitarian. As a designer, I love using railings that complement and harmonize with my deck designs, so between the versatility of Regal aluminum railing, its reliability, and its ease of installation this one is really a no-brainer. When selecting a railing to complement a project, I ask myself how it’ll look not only while standing on the deck, but also when viewing the deck from inside the home or looking up from the yard. Is the deck perfectly situated to take in a gorgeous view? Consider glass railings to open things up. What colors are predominant in the decking and home design? You want your client’s railing color to harmonize or accentuate, not clash. Does the home have a particular style and look that could be enhanced with special decorative railing elements? On the end user side, the homeowner will not only love having an attractive railing that keeps their families safe and complements their home, they’ll also be big fans of the low maintenance aspect and 20 year warranty. Aluminum railings are sure to look as great as the day they were installed even years later, so the homeowner will be sure to be thinking fondly of you when it’s time to update their yard again down the line! Sturdy, high quality materials are a great way to help capture this type of valuable repeat business, along with the word-of-mouth that will build from years of your clients’ happy outdoor living experience. 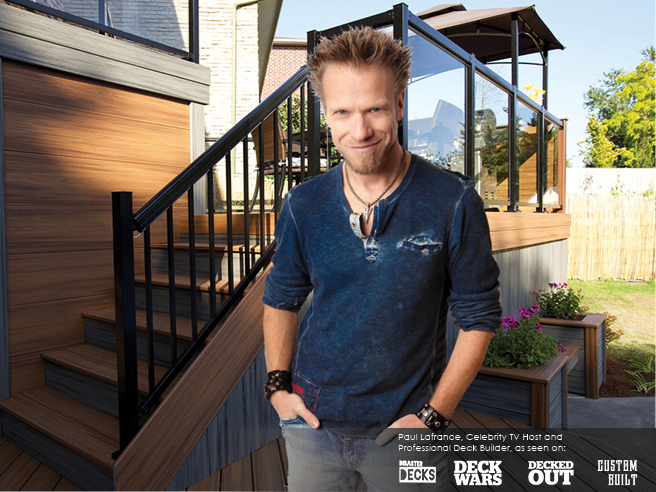 Previous Post Paul Lafrance Teams Up with Regal ideas inc. Next Post The Essential Tool-Telesteps!